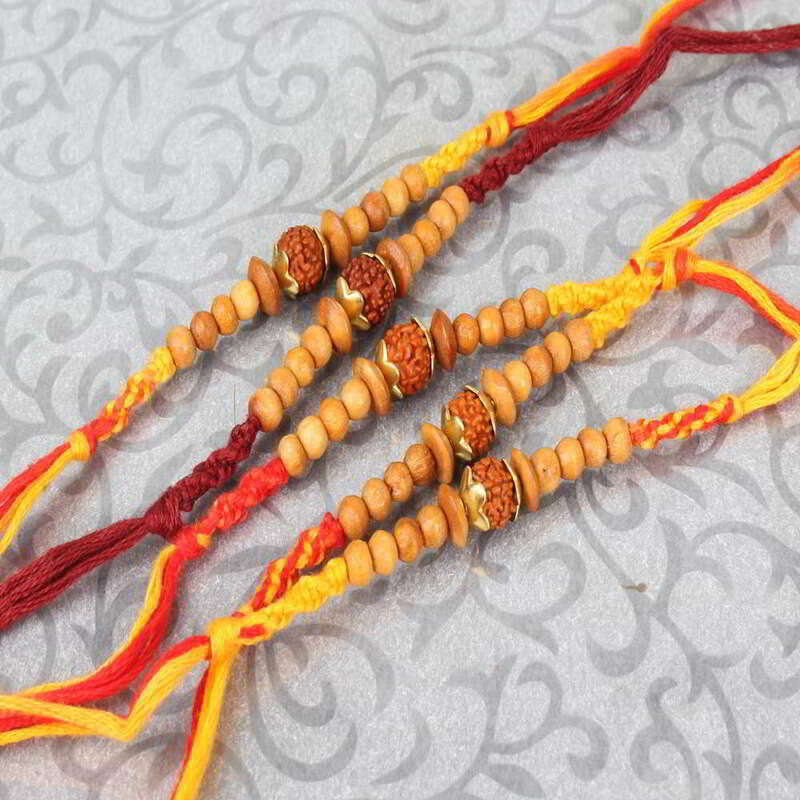 Product Consists: Combo of Five Rudraksha and Wooden Beads Rakhi nicely tied on a designer Card. 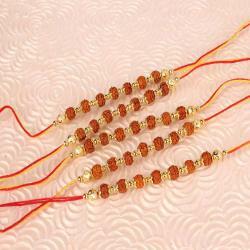 Celebrate rakshabandhan with Giftacrossindia rakhi products. 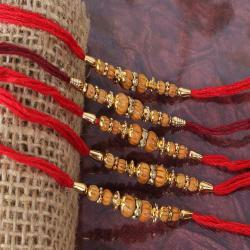 Tying this special rakhi on the auspicious day will make your celebration unforgettable for sure. Wish happy rakhi with special sentiments. 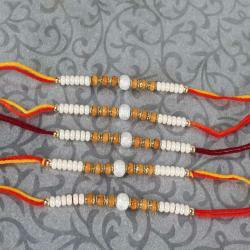 Your brother would be the happiest person on the earth after receiving this amazing Sets of Rakhi because this occasion sees incompletion without rakhi thread. It's time to celebrate brother and sister love. This crafted designer rakhis will definitely add a lot to your festivities and will let all your brothers have a bright and vivid Rakshabandhan. 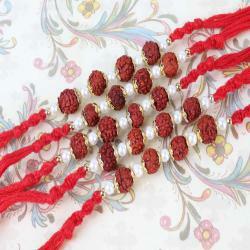 Product Includes: Combo of Five Rudraksha and Wooden Beads Rakhi nicely tied on a designer Card.